There’s been quite a bit of chatter about SUP in the Olympics over the past twelve months. Some see it as a great idea, others think it doesn’t belong, while many believe it’s simply inevitable if the sport keeps growing the way it is. One of those is the guy who pretty much invented modern stand up, Laird Hamilton. Laird doesn’t actually do any SUP racing himself (probably not enough adrenaline in it for him), however he’s very active in promoting the sport in general, particularly on the SUP surfing side of things. And during a recent promo tour of Australia, where he was touting his new range of Laird StandUp boards, Laird offered his views on the future of SUP. 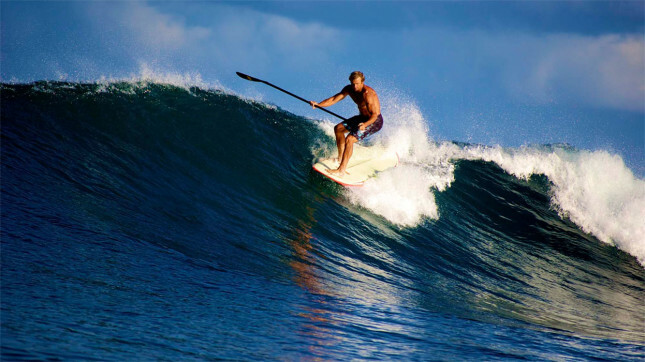 In an interview with Australia’s Surfing Life magazine (which I proudly grew up reading obsessively, but which I’ve gotta say has printed more than a few anti-SUP diatribes in the past…), Laird answers a range of questions about stand up paddling. Laird’s reference to “There’s already interest and people who are looking at it.” probably refers to the very intense push the ISA is currently making to get both SUP racing into the Olympic games. This is quite timely actually, seeing their ISA World SUP Championship was held last week. So while a lot of work has already happened behind the scenes of the past two years, it’s cool to see someone of Laird’s mainstream status talking up the prospect.